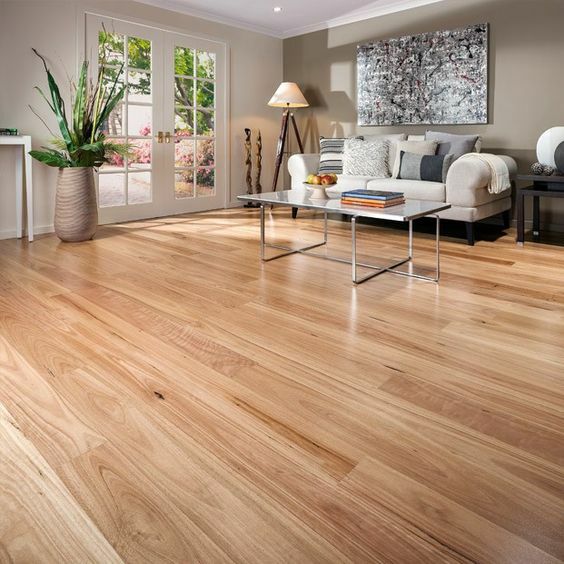 When buying engineered wood in today’s market, from Allfloors Glasgow, one of the benefits is that it looks just like real wood. Years ago, when it was first introduced, it was less popular than solid wood for various reasons but not here and now. Even the toughest sceptic would find it hard to disbelieve you that your engineered wooden flooring isn’t the real deal. Engineered wooden flooring is extremely durable. 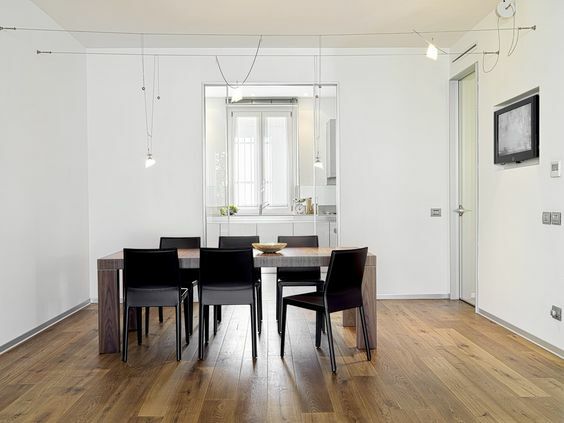 This type of flooring is made of multiple layers of plywood that are bonded together. This flooring is topped off with a top layer of plywood or with lamella. Engineered flooring will stand up to substantial amounts of footfall in both commercial and domestic environments as the flooring boards are incredibly tough. Engineered flooring can be sanded which is another fantastic benefit. How many times that this flooring can be sanded depends on the thickness of the top layer or the lamella. Despite this, there’s no getting away from the fact that your engineered wood flooring can be sanded during its lifetime. If you’re floor looks tired and worn, resanding is a terrific way to bring it back to life. If the floor is stained or marked, sanding can help in these situations as well. You can make your engineered flooring look like new again as you can refinish it once it’s been re sanded. You get real flexibility with this type of flooring as you have the opportunity to completely change the look of your floor once it’s been re-sanded and refinished. Engineered flooring comes in a range of finishes and grades and types so you get a lot of choice here. In the same way that solid wood engineered flooring comes in a range of grades and species, engineered flooring has a range of lamellas and top layers. This basically means you can choose then best finish and look that fits your lifestyle. This type of flooring Is suited to various budgets as well as different grades of wood are more cost effective than others. So, if you want an aged oiled top engineered wooden floor or a lacquered option, the choice is up to you. With other wooden flooring options, you need to cut a seriously big tree in order to achieve a wide solid wood board. Engineered wooden flooring is different. It isn’t the case here as the boards are made of plywood. Plywood boards can be manufactured and made much wider without breaking the bank. The flooring can be installed in a quicker time frame because of this and you’ll also have fewer joints across the floor as you can use two or three strip engineered wood. Engineered flooring comes in the parquet and chevron look. This is becoming more and more common to find these looks in the engineered wooden flooring range. This means you can source the style you want, have it already in place without any hassle. At Allfloors we also sell the parquet look in our Karndean flooring option. 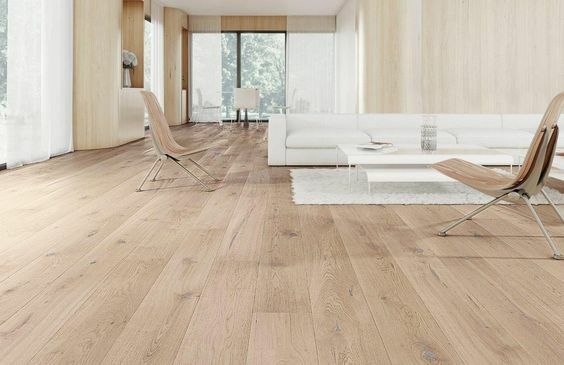 Another benefit of this flooring is that it’s quick to lay and easy to install This means that it’s a fast transition from buying your solid engineered wooden flooring from Allfloors Glasgow to our installers fitting the floor in your home. Here’s the final advantage of this flooring option. Although it might look that it will cost a fortune, it really won’t break the bank. Looking for your next floor? Look no further than Allfloors Glasgow. Get in touch today!